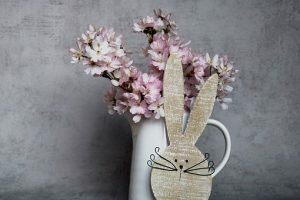 Easter is a time for celebration and tradition for many. Traditions can be big or small and there is wide range of things that you can do as a tradition. They can be something you do by yourself, with family, with friends, or whoever you want to. Do you want to start your own traditions? Here are some ideas of things you could do. 1. Maybe you have dyed eggs different colors but want something different. Try making marbled Eggs. 2. Cooking and baking are something a lot of people really enjoy. Here is a recipe to make cinnamon sugar bunnies. 3. 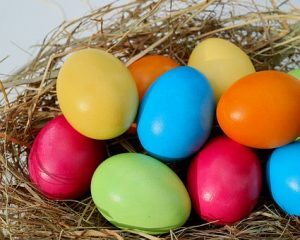 Are you tried of the same Easter egg hunt every year? 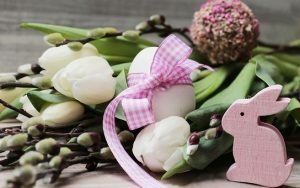 Here are some unique Easter egg hunt ideas. 4. Easter Egg Suncatchers are a fun and easy craft. 5. Do you have an Easter meal? Try making one or all of these bunny napkins.